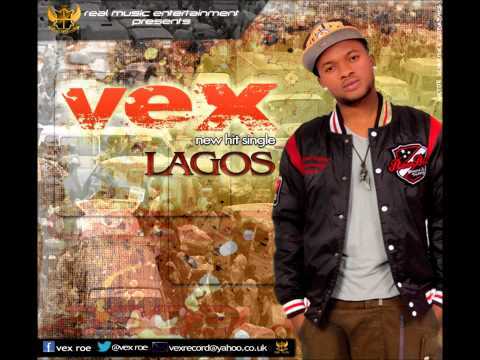 Fast-rising Nigerian born rapper, Vex, currently based in the UK; has debut with another hot new single, this one is titled 'Lagos', the second fastest growing city in Africa and the seventh fastest in the world. Agege boyz, Akoka boyz, Alaba boyz, everybody LAGOS!!! Bariga boyz, Lekki boyz, Ikoyi boyz, everybody LAGOS!! Orile boyz, Idumota boyz, Ikeja boyz, everybody LAGOS!!! Yaba boyz, Oshodi boyz, Surulere boyz, everybody LAGOS!!! That is just a glimpse of the dope rap song Vex just released to uplift Lagos further in the U.K, and the whole Hip-Hop community globally. If you are from Lagos, as in born and raised in Lagos State, you know Lagosians rep their town to the fullest. With this new Naija Hip-Hop by Vex titled "LAGOS", many would agree that the song could serve as the new Anthem for Lagos. Vex has dropped a lot of party bangers consecutively, but this one is making wave in the UK, especially in the Nigerian community. Many rappers call him the microphone killer, however the young lyrical rapper has worked with various top artistes and top producers both in Nigeria and in the UK with producer like Olly Jay, O Black, and a host of others. Below is Vex's newest banger titled 'Lagos'. Listen and download this lovely song. Fellow Nigerians, would you say that this song is the new Anthem for Lagos? Presented by Real Music Entertainment. Nigeria Music Network is the #1 music video sharing site for Nigerian Hip-Hop, Nigerian Gospel, R&B, AfroBeat, Highlife, Reggae, and much more. We promote Naija artistes. Vex, a Nigerian born artiste currently based in the UK has debut with a hot new single titled 'Soro' featuring Nizzy. Vex has dropped a lot of party banger but this one is making wave in the UK. Many rappers call him the microphone killer, however the young lyrical rapper has worked with various top artistes and top producers both in Nigeria and in the UK with producer like Olley Jay, O Black, and a host of others. Below is Vex's newest banger featuring Nizzy, titled 'Soro'. Listen and download this lovely song.